I’m often invited to speak about our ambitious digital agenda and, where my diary allows, am keen to share more about our plans and where we’ve got to. With something like 50 digital projects running at any given time we have a complex roadmap to navigate. 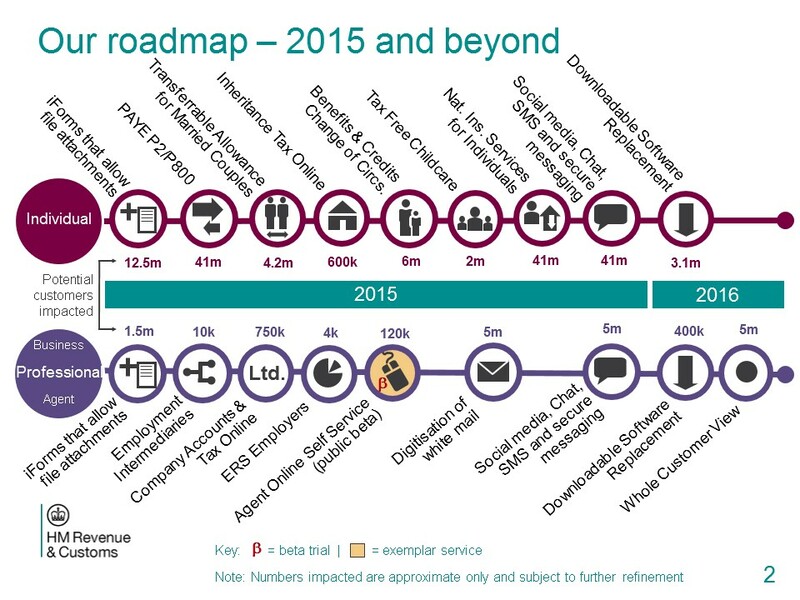 My team have been working on a visual summary, which highlights some of the key things coming up for customers over the next couple of years. I thought it would be good to share this so you can see how the picture is looking. Let me know if you think this is useful and I will share future versions too. 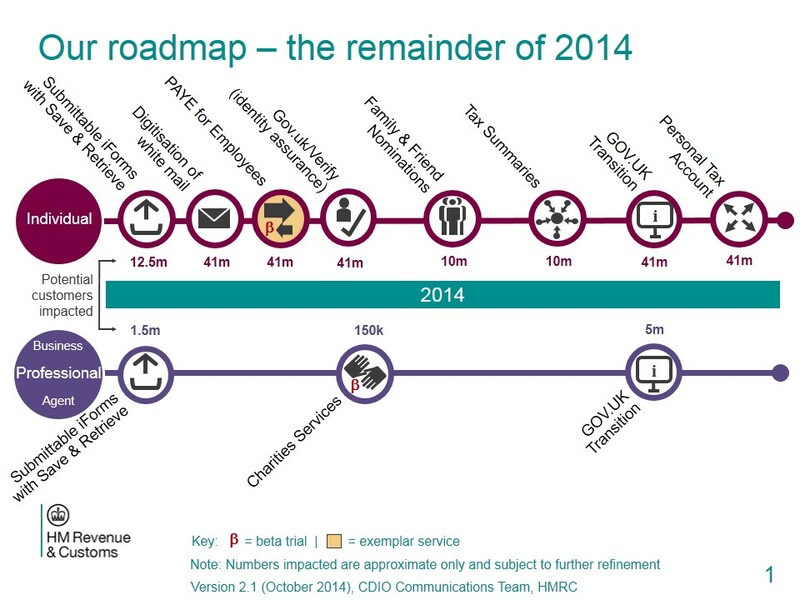 I’m going to be putting it up on screen at the HMRC Autumn Stakeholder Conference next week, when I’ll be giving some of our key stakeholders an update on our progress. I’m looking forward to some challenging questions and also some great ideas and feedback for me to take back to my teams! I will let you know after the event what came out of it. Better analysis Mark. These will help the business owners for clear thought about digital service management. It is very true that a digital service planning help promote the prosperity of a company. In this concern I may refer the name of OGS Capital as they have provided me a better one. Thanks for the post Mark. How encouraging to see an open CIO and roadmap. I also read the piece at the end of last year about the breaking up of the major outsourcing contract. Being lean and nimble is how I've seen large enterprises drive the most success in todays' tough economic environment. Hope our own paths cross one day. Thanks for sharing this, Mark. It is really interesting to see what's in the pipleline. As an outsider looking at this, it's not always clear from the project titles what they'll entail. What's the best way (if any) to find out more about individual projects? Thanks Matt for your comment. Are there any particular projects that you'd like to know more about? If so, I'm happy to ask the relevant Digital Service Managers to consider blogging about it with a bit more information.